Sellling Wall to Wall, No Minimums – No Reserves!!!! All Must Go! Don’t Miss This Auction! (13) SKIDSTEERS: (10) Bobcats; (2) Case; (1) JD; (3) Vermeer / MINI EXCAVATOR: John Deere 7,600 lb., model 35D / WHEEL LOADERS: 2016 Volvo model L50G; John Deere model 644J / AIR COMP. : Ingersoll Rand, model P185; Sullair, model 185 / (38) VARIOUS ATTACHMENTS: Various forks; Breaker hammer; Buckets; Box blade; Auger; Soil Conditioner; Mulcher; Tillers; Stump grinders; Sprayer; Trenchers; Seeder/Spreader; Grapple; Auger bits; Planer; Various bits; Flail mower; Bush hog / SNOW PUSHERS: (4) Master Craft Snow Pushers: 7’, 8’, 9’ / (2) JOHN DEERE UTILITY TRACTORS / (6) TRAILERS: Utility; Tilt; dump; Goose neck; RV 5th wheel / LAWN AND GARDEN EQUIP. : Aerators; Bedscrapers; Dethathers; Slit seeder; Mulch coloring system; Sod cutter; Walk behind trencher; Rotary tiller; Mowers: Other like items / BOOM AND SCISSORLIFTS: 2017 JLG Portable Boom Lift, 35'; 2016 SkyJack Scissor Lift, 19'; Skyjack Scissor Lift, Rough Terrain, 26' / TRUCKS: Chevy Topkick, model C5500 / WORKBOX: Ford F350 Work Box with Tommy Lift / CONCRETE EQUIP. : Breaker hammers; Hammer drill; Concrete buggies; Concrete mixer; Core Drill; Saws; Screed; Compactors & Jump jack / LASER GRADE LEVEL KIT / (4) LIGHT TOWER PLANTS / SHOP EQUIP. Welders; Grinders; Rebar wire; Pressure washer; Paint sprayer; Trash pump; General Shop Support / MUCH, MUCH, MUCH, MORE!!!!! TERMS: Everything sells like is, as is, where is. Cash, Wire Transfer, Credit Card with additional fee, or Letter of Credit from bank to guarantee check. Buyers Premium Applies: For onsite purchases 12% for Webcast purchases 15%. TERMS: Everything sells like is, as is, where is. All sales are final. Cash, Wire Transfer, Credit Card with additional fee, or Letter of Credit from bank to guarantee check. Buyers Premium Applies: For onsite purchases 12% for Webcast purchases 15%. Sellling Wall to Wall, No Minimums – No Reserves!!!! All Must Go! 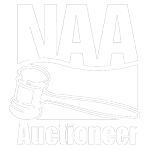 Don’t Miss This Auction!